Thank you for your professional help – we sincerely appreciate. This lovely home in Burien needed one last major refresh – the kitchen. The look dated from the early 80’s and the homeowner wanted a more modern theme that blended better with the modern look of the home’s interior. 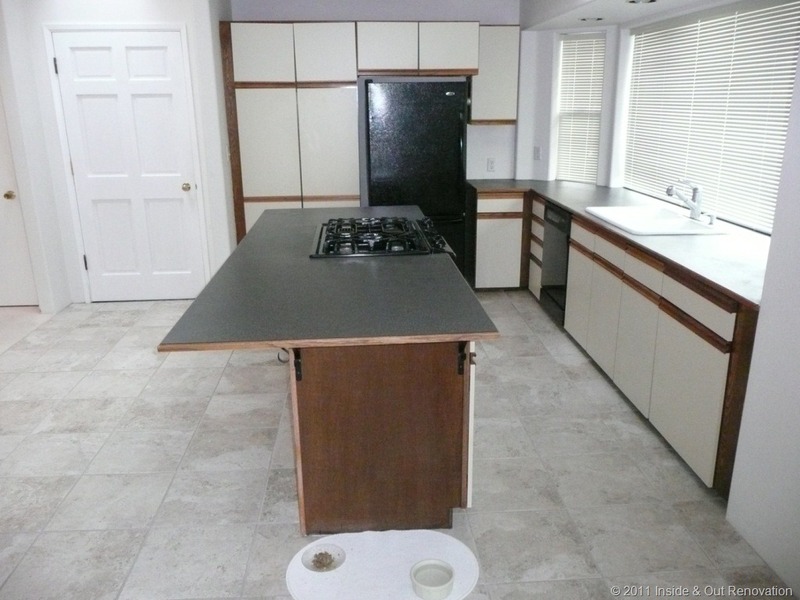 The cabinets were in good condition and the floor had recently been changed. After listening to the customer, some design suggestions were offered. 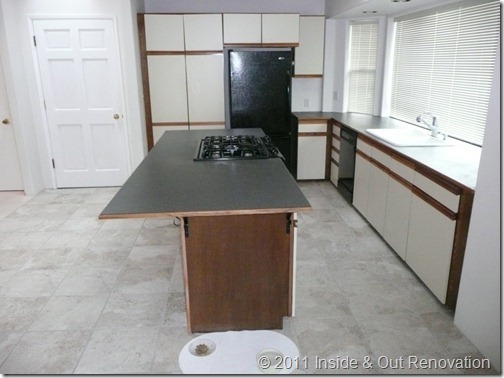 The customer chose Pental Chroma Quartz countertops with custom painted maple doors. 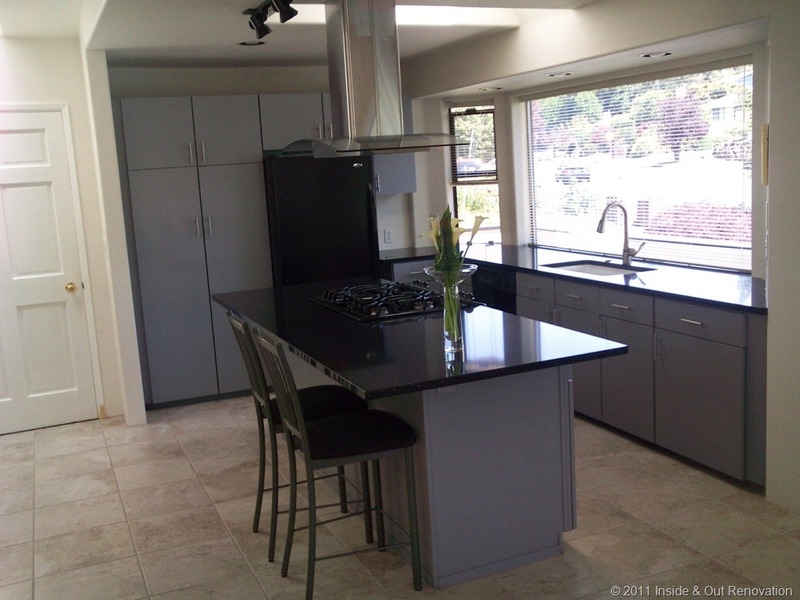 A new undermount Kohler sink and Moen faucet rounded out the counter top look. The range hood was upgraded from a bathroom fan to a lovely ceiling mounted glass hood that can efficiently and quietly manage the steam and odors genereated by the range. This is a very impressive transformation, David! I will be sure to share it with my friend Jane to whom I reffered you last week.